Do you love the unique Harajuku look? 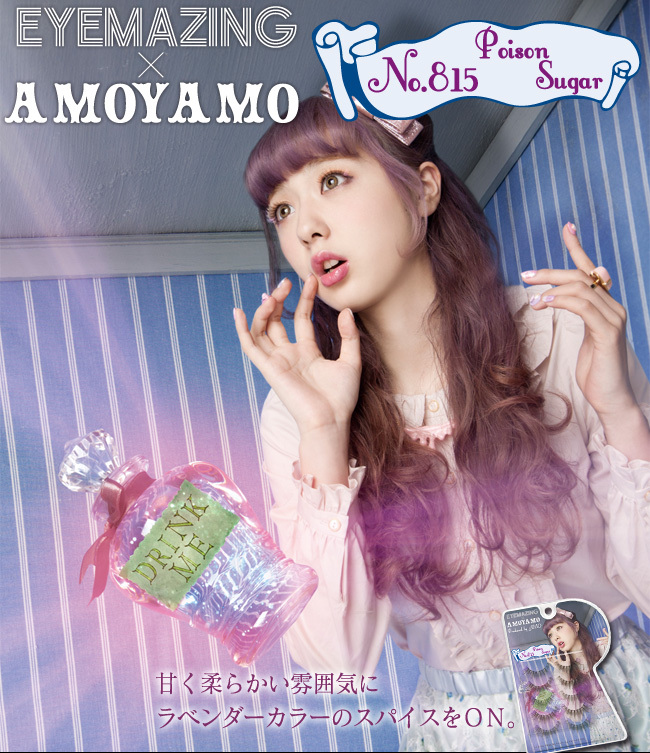 Singing unit and Zipper models Amoyamo (Amo and Ayamo) collaborated with Eyemazing for a second time in 2013 to produce another line of lashes. As you may or may not know, purple is my favourite colour and I was instantly drawn to these lashes the instant I saw some Hong Kong YouTubers show these off in a haul. I love Amo's pastel aomojikei and byojaku (sickness) makeup look. Brown lashes have become more popular in the past few years with many Japanese brands releasing them from around 2012-2013 onwards. At times, black can look harsh and brown matches people who have dyed their black hair lighter colours. I have never dyed my hair and I was a bit weary of how brown lashes would look on me. 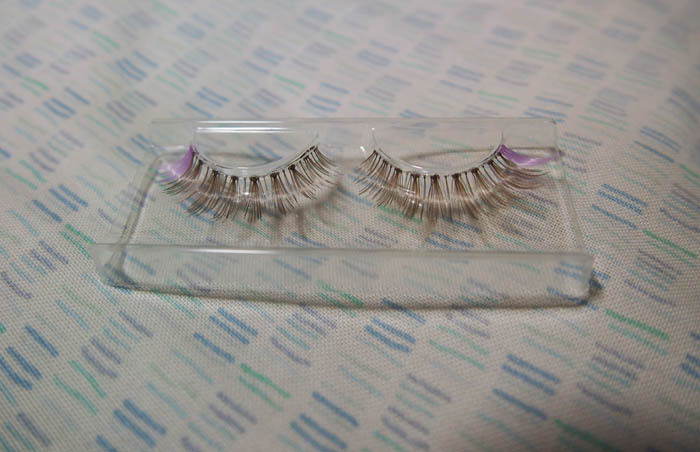 I purchased these lashes for 22.80 AUD at MD Ranking. I couldn't find them during my trip to Asia in early 2015 and I saw that these were around 20AUD or more on eBay so I just decided to buy them from a physical store. The box and the photoshoot is beautiful. So much purple. These lashes are also obviously Alice In Wonderland themed. I have never seen any other lashes on the market which look like this previously. Although the lash design itself isn't entirely unique per se, the types of colours used are. As a fan of Tsu-chan's original Dolly Wink line (before she released the Otona styles) I found these lashes to be too short for my eyes as I like the tareme (droopy eyed) look. They also only look marginally longer than my original lashes and do not give off that exaggerated look. Each pair of lashes is on their own little tray like this without a lid or cover. Eyemazing lashes are not of an amazing quality. The feathers are plasticky and stiff to the touch rather than soft and comfortable. They are very flimsy and you must be careful when you remove them. It is very easy to tear off a cluster of the hairs. The lash band also bends out of shape very quickly and easily which can be both a good and a bad thing depending on how you like to apply your lashes. I have been complimented every time I wear these:) I think these lashes would look absolutely best with brown eyeshadow, brown eyeliner, and brown hair. Also, if you wear lenses, make sure they are not too enlarging. 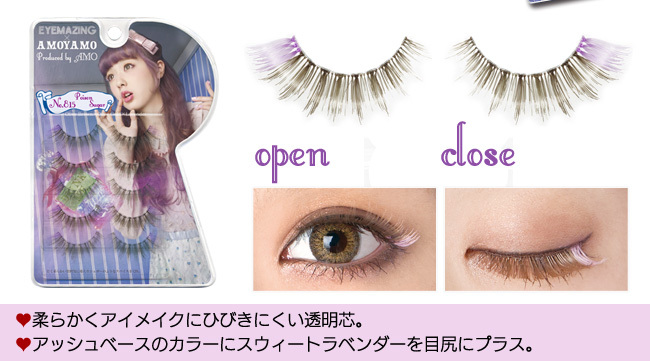 You need huge lashes to balance out huge circle lenses and these lashes are not long enough to do that. I have had to coat my brown lashes with a bit of black mascara to blend them in with my black hair and black lashes. The brown is very subtle and an interesting look compared to the tradition black and the olive brown and gold isn't that noticeable until you look down or close your eyes. Four stars purely for the design. I am unlikely to buy other Eyemazing lashes in the future as the quality isn't on pair with my favourite Koji Dolly Wink lashes. 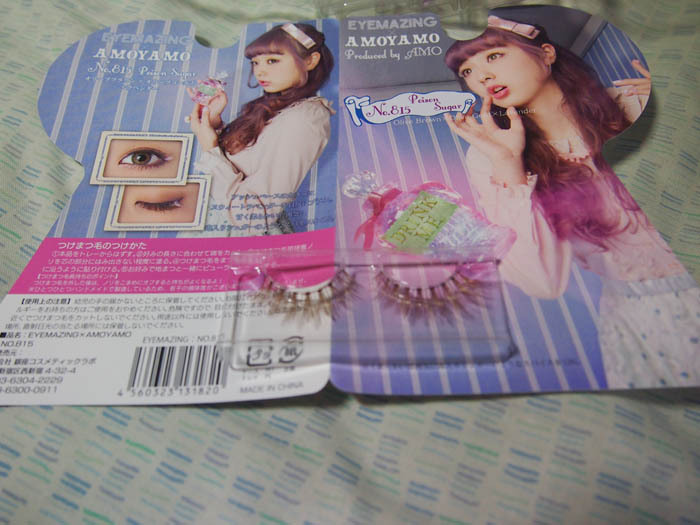 Eyemazing, however, are definitely better quality than Etude House and Daiso lashes. Eyemazing are good value for the price for the number of lashes you get in each box.